Antique diamond and pearl crescent brooch. Product code: 1563 Categories: Sold Items, Sold Jewellery. 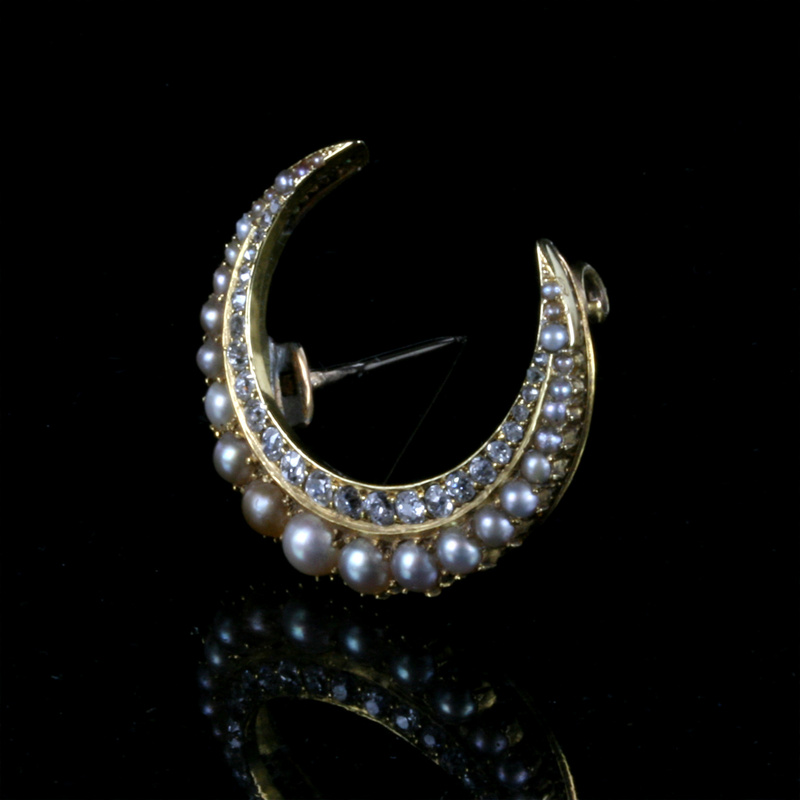 The Crescent form was a very traditional form in jewellery of the Victorian era, and this one is truly magnificent with its combination of pearls and diamonds. It was made around 1870 in 15ct rose gold, and is set with 17 old European cut diamonds and 8 rose cut diamonds, with a total weight of 0.62 carats, and they simply dazzle in the light. 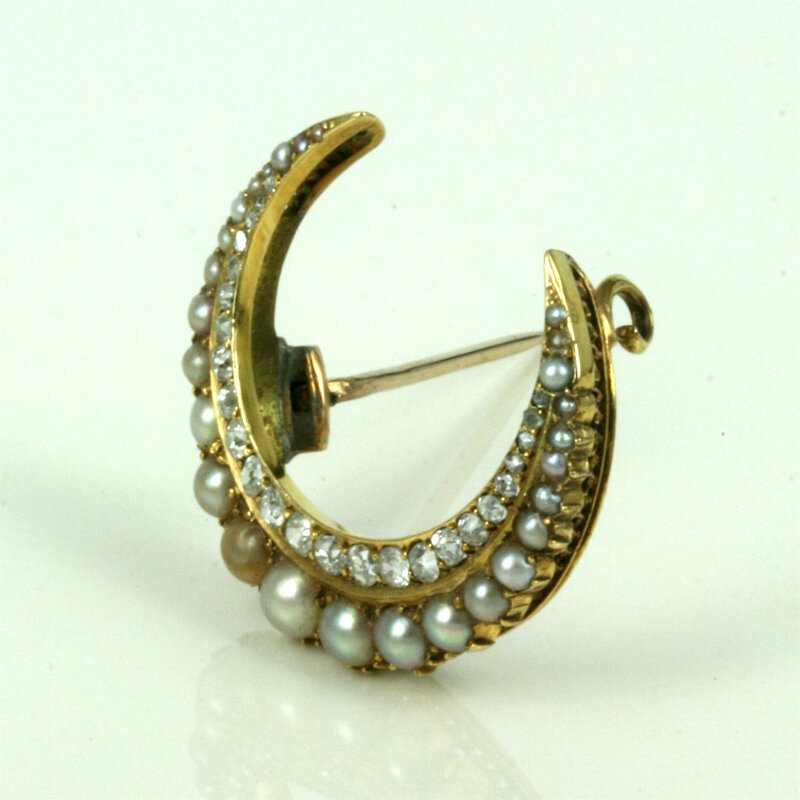 Making this antique crescent brooch more attractive, it the 27 natural pearls making this crescent brooch quite unique as normally these brooches are found with only one row of gemstones. 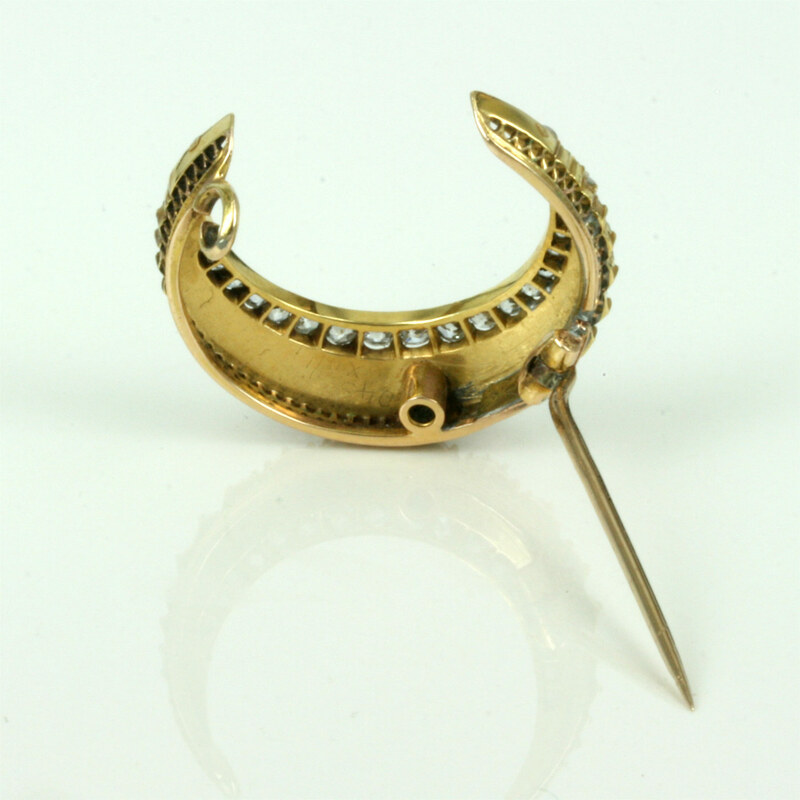 Measuring 2.8cm across, this antique crescent brooch will look so elegant and smart on any outift for any occasion.